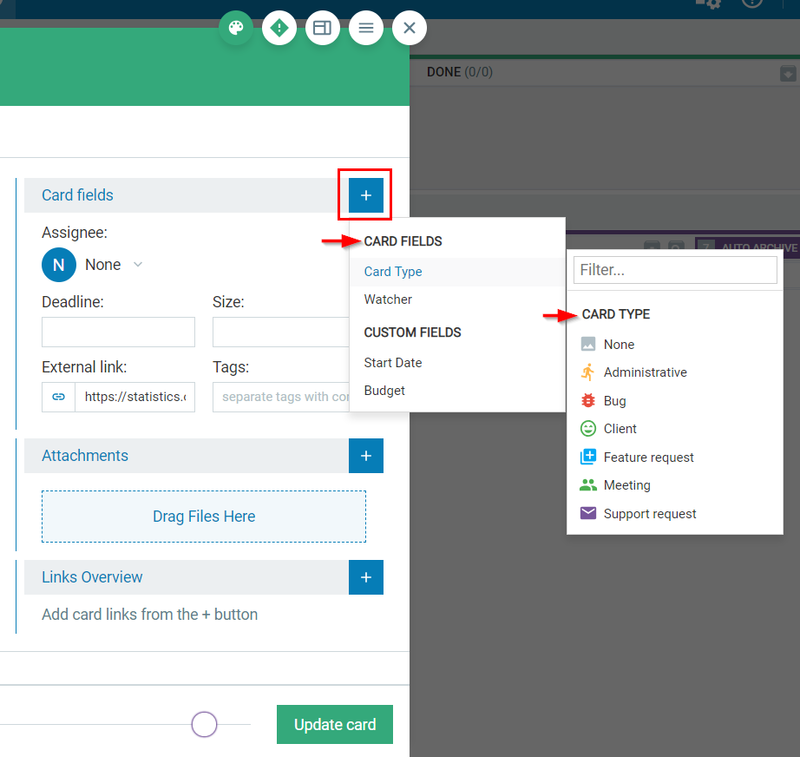 You have to be an Account Owner or a Workspace Manager to be able to create and manage card Types in your Workspaces and boards. Types are used to categorize cards that have common characteristics e.g. "Defect", "Customer Request", "Meeting", etc. Card types help you to group together cards from your flow. This facilitates reporting, KPI metrics gathering, analysis, and process improvement. The Types are created at a Workspace level. When you create a Type, it becomes available for all Boards in the Workspace. 2. How to create a new Card Type? Card Types are created and managed from the Workspace and Boards Settings panel. Once created, they become available as a choice in the Type field of your Kanban cards. - then select Manage boards. Note that you can use a shortcut and select Create Type. In the "Workspace and Boards Settings" panel (img.1)-> select the Types tab. To create a new type -> use the ADD NEW TYPE button -> input the name of the Type you want to create. The Types panel allows you to categorize your tasks in a visual way and give them icons corresponding to the character of the work item. 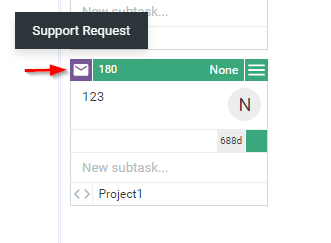 Select a relevant icon and click on the checkmark sign to add the type. The type will be added to the List of types in the panel. It instantly becomes available as a choice in the Type field of the cards located across all boards in the respective Workspace. To Edit/Copy/Move/Delete types, please use the settings icon to the right. 3. How to assign a Type to your card? To set up a Type to your card, please open a card and click the plus icon that belongs to the Card Fields -> click Card type and the system will produce a dropdown list with all Types that you have created -> select the one that best categorizes the respective card -> Update card to save all changes. TIP: To display the card type at the closed card view -> you have to configure the corresponding Card settings -> uncheck the "Hide Card type" box. Upon proper configuration, the Type field icon will be displayed at the top left corner of the closed card view. You can manage the Type field directly from there.